(TibetanReview.net, Nov04, 2017) – India has expressed disappointment while China says it is ready to work with New Delhi to promote “constant progress” of bilateral relations following yet another move by Beijing, on Nov 2, to prevent the UN Security Council from blacklisting the chief of a Pakistan-based a terror organization. The organization, Jaish-e-Mohammad chief (JeM), already on UN blacklist, is accused of having carried out several high profile terrorist attacks in India, including the latest one on an Indian air force base at Pathankot in Feb 2016. “We are deeply disappointed that once again, a single country has blocked international consensus on the designation of an acknowledged terrorist and leader of UN-designated terrorist organization, Masood Azhar,” Reuters Nov 2 quoted India’s foreign ministry as saying in a statement. 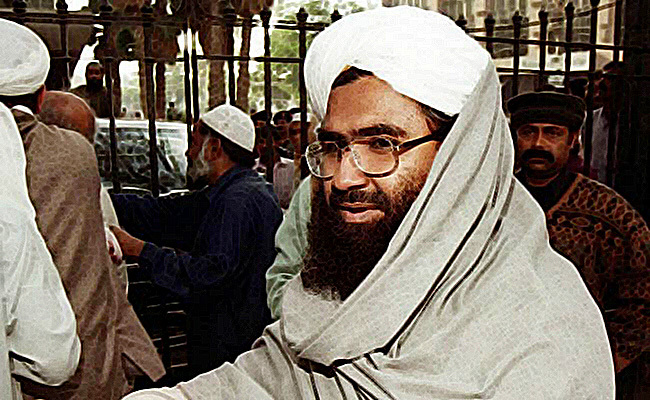 The wrangling over the terror mastermind, Maulana Masood Azhar, continues to be a thorny issue in ties between China and India. “India strongly believes that double standards and selective approaches will only undermine the international community’s resolve to combat terrorism,” India’s foreign ministry was quoted as saying in its statement. “Accommodating with terrorism” for narrow objectives was both short-sighted and counterproductive, indianexpress.com Nov 3 quoted India as saying. But despite ‘blocking consensus’ on listing Azhar as an internationally designated terrorist at the UN, Beijing on said Nov 3 it was ready to work with India to promote bilateral ties. This was the fourth time in two years China blocked India, the US and other nations’ bid to list Azhar on the 1267 Committee sanctions list, saying, as before, “there is no consensus” within the members of the sanctions committee. China’s Assistant Foreign Minister Chen Xiaodong told the media Nov 2 that his country attached great importance to its relations with India. “India is an important neighbour of China,” Chen said, adding that China plans to step up ties with neighbours under the “neighbourhood diplomacy with Chinese characteristics in the new era” enunciated by President Xi Jinping during the recently concluded key Congress of the ruling Communist Party of China (CPC). “We are ready to work with India to promote constant progress of bilateral relations guided by this diplomacy with Chinese characteristics for the new era,” Chen was quoted as saying.